Does anyone have any guess as to which ferry is going to replace the Samish while she is out form removal of flammable material in January? The Maintenance Schedule is only projecting as far out as the end of December right now, but both Chelan and Hyak are listed for standby status at the end of December, so it could be one of them. 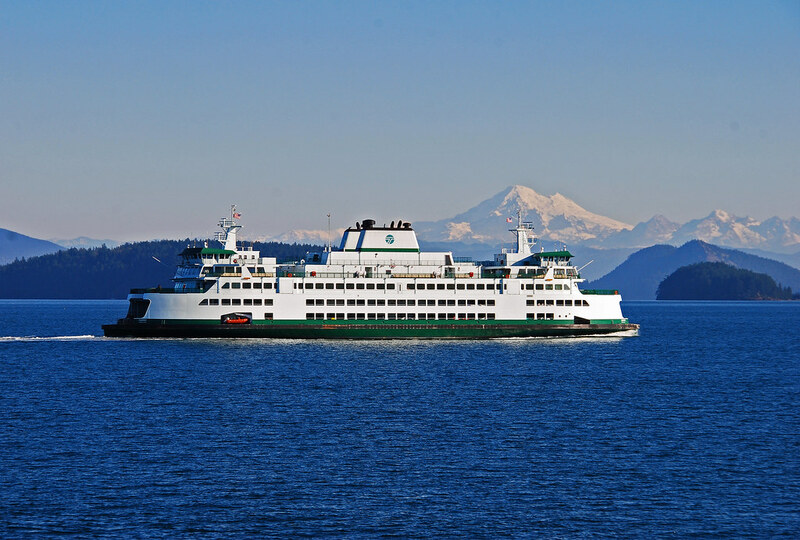 The state must tear out and replace soundproofing material on its two newest ferries because the U.S. Coast Guard is concerned it may cause excessive smoke and flames in the event of a fire. Workers have begun removing material from the Samish in accordance with a nationwide directive issued by the Coast Guard in September 2014. The process will be repeated on the Tokitae starting early next year. 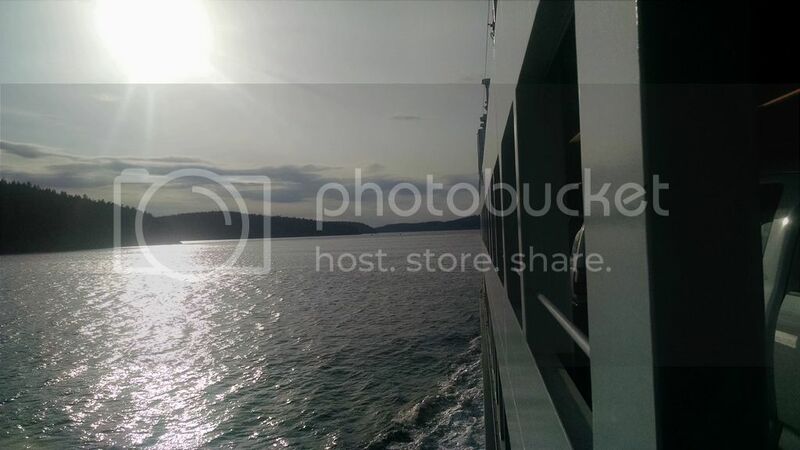 The Samish was put into service on the Anacortes/San Juans Island route in June 2015 and the Tokitae joined the Mukilteo/Clinton route in June 2014. Vigor Industrial, which built the Olympic Class 144-vehicle ferries, will handle the projects and pick up the tab. 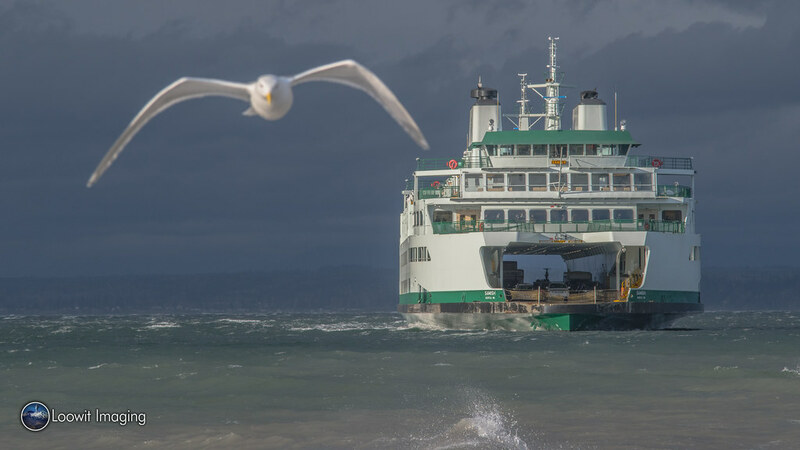 "There is no cost to taxpayers because it is covered under the terms of the construction contract," said Ian Sterling, spokesman for Washington State Ferries. 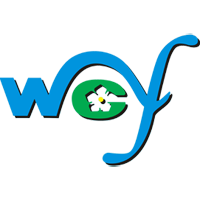 This problem isn't exclusive to WSF. Two research vessels in Washington also using the material must make changes. Those vessels are owned by the U.S. Navy and operated by the Scripps Institution of Oceanography and Woods Hole Oceanographic Institution. And between 70 and 100 marine vessels in the Gulf Coast region will need to undergo similar repairs, according to a Coast Guard spokesman. The Coast Guard marine safety directive calls for an immediate end to use of certain sound dampening products made of mass loaded vinyl. It singled out one brand, Vinaflex, which is sold commercially and is currently installed around engine rooms and decks on various types of vessels. Lt. Dana Warr, a Coast Guard public affairs officer, said the products were extensively tested by the Southwest Research Center before the safety bulletin went out. "In its natural state it is not hazardous to passengers or crew," he said. "However, in an onboard fire situation the product does become hazardous due to excessive flaming and excessive smoke. It's a safety concern for the first responders." 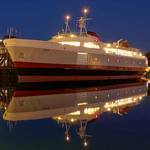 Until the material is replaced, additional breathing apparatus will be carried on each of the ferries, Sterling said. When the directive came out, the Tokitae had been in service for three months on the Mukilteo-Clinton route and the Samish was nearly built. 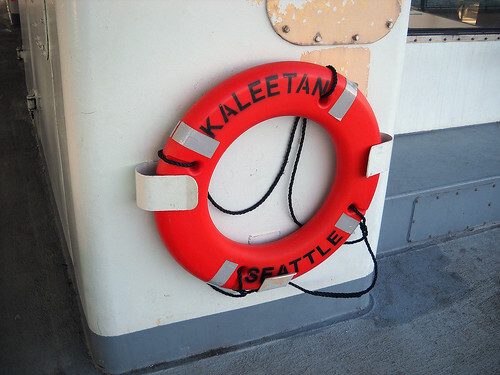 It took several months for the Coast Guard to approve an alternative product for use on the two ferries, as well as on the third Olympic Class ferry now being built. 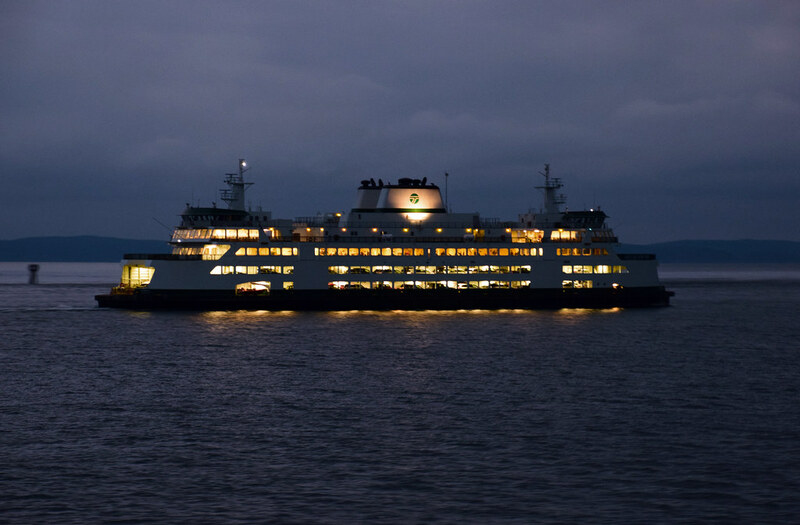 The replacement work won't prevent the Samish from continuing to operate on its Anacortes-San Juan Islands route. Areas willl be cordoned off as workers pull off drywall, remove the soundproofing insulation and install a replacement material made up of a product known as lead foil, Sterling said. Each ferry will be taken out of service when the area around the engine room is ready to be worked on. That won't happen until January. Once the Samish is nearly or completely finished, the same process will begin with the Tokitae, and wrap up in spring 2016. 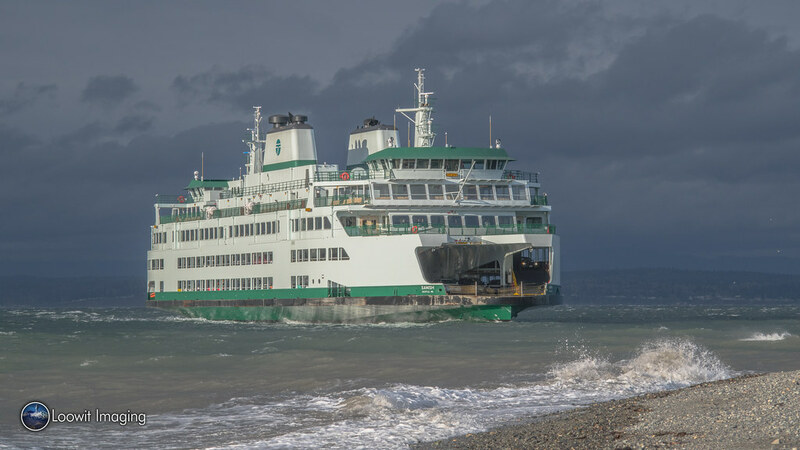 The Maintenance Schedule is only projecting as far out as the end of December right now, but both Chelan and Hyak are listed for standby duty at the end of December, so it could be one of them. I don't think it will be the Chelan. She has been working non-stop since June (as of November 5). 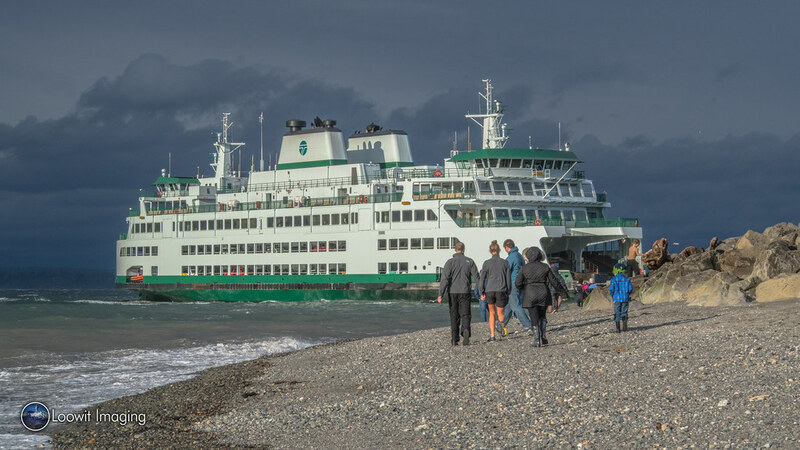 She was supposed to be out mid-September but the Elwha broke and she was required to stay in service. 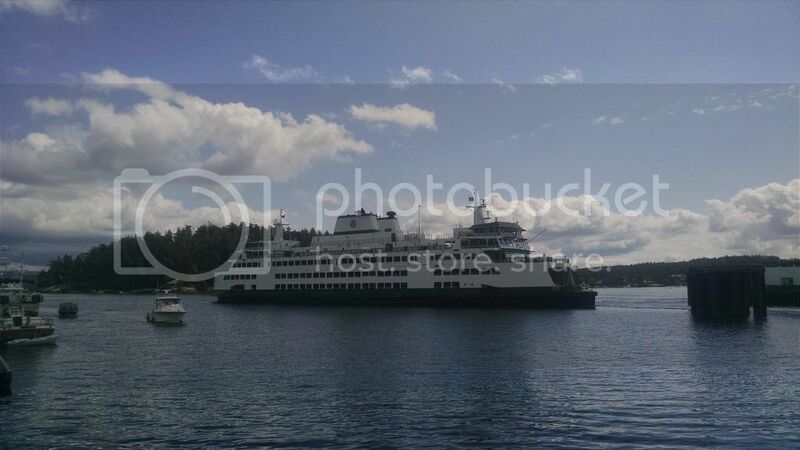 I would like the Hyak back to the Islands, she seems very suited, but the Samish is nice too. Given that the service levels are already cut back in winter, I'd be surprised if the Samish wasn't replaced by the Hyak. At least there would be capacity parity. I traveled to Friday Harbor this weekend for the Film Festival (I recommend that if you like history and documentaries, that you go next year). We went up on the Samish at 6:00pm on Friday night and we didn't leave until about 6:25pm. As we arrived Lopez, I got a notification that the boat (Samish) was running late due to police activity in Anacortes. I was unaware of anything of the sorts. If anybody has heard anything about this, it would be nice to hear about it. First I've heard of it, but that's not surprising. I just show up and go to work on whatever boat I'm told. ...and they're all pretty cool. Wow!! That's an awesome shot!! 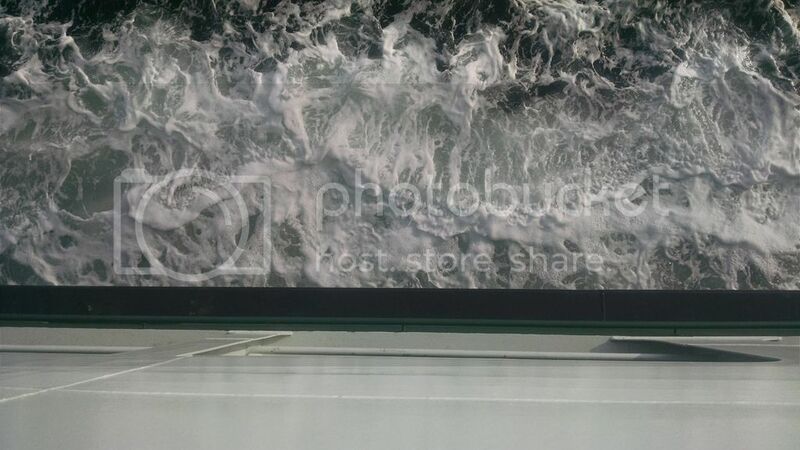 I take it this was at or close to the Lopez Island ferry terminal? 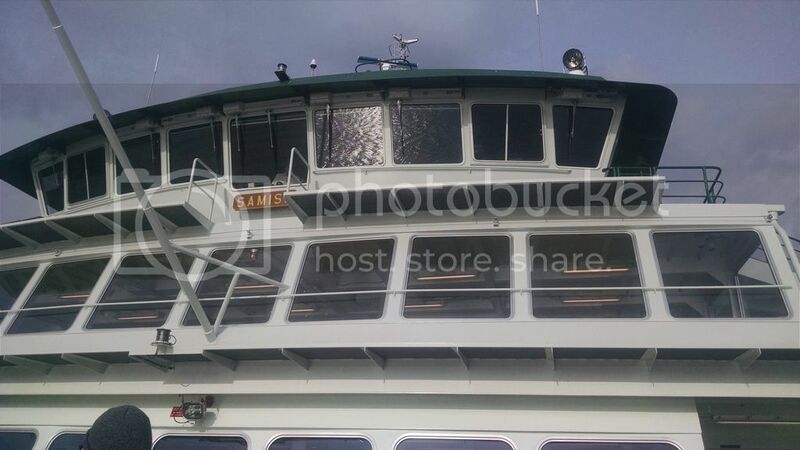 SEATTLE -- The San Juan Island ferry runs will be a lower capacity for a while after a small hole was discovered in one of the boats. 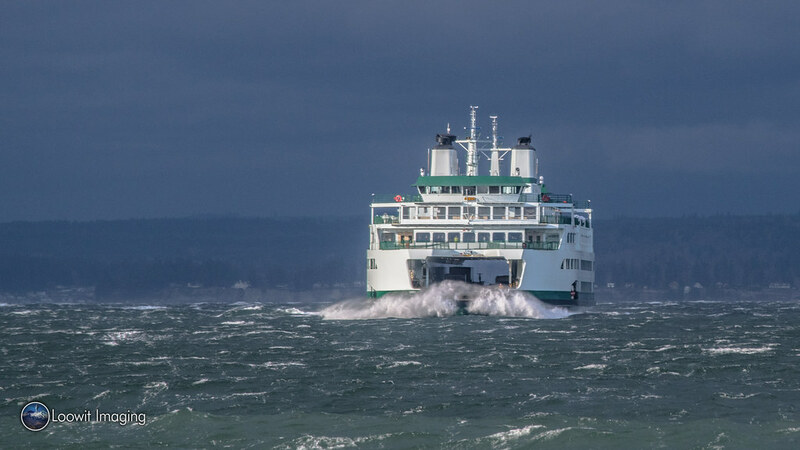 It was during routine inspection of the ferry Samish on Sunday when crews found a small leak below the water line in the middle of the boat, according to Brian Mannion with the Washington State Ferries. The boat was immediately pulled from service over the busy holiday weekend and divers were sent to check on the hull on Monday. What they found was a perfectly circular hole about the size of a quarter, Mannion said. Mannion added it doesn't appear to have been caused by the ferry striking anything and there is no damage or other issues surrounding the hole. They've submitted a warranty claim with the manufacturer and will bring the Samish to dry dock and conduct a full inspection. The boat just went into service in June. 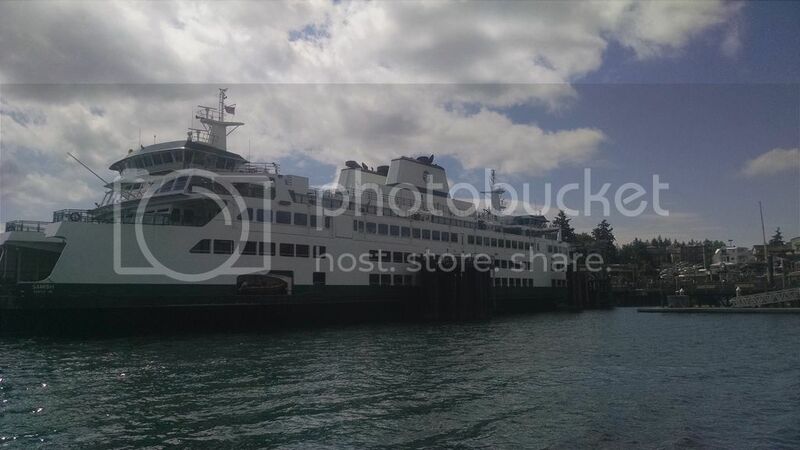 In the meantime, the ferry Kitsap will take over for the Samish on the San Juan Island runs. The ferry is smaller and thus capacity along the route will be reduced until the Samish is back in service, Mannion said. There is no estimate yet when the Samish repairs will be complete. Not good news for our newest ferry. Hopefully, the repairs won't take too long. The hole was caused by corrosion. Corrosion? Seriously?! I can understand there being defects with a new ship, like with equipment, and maybe some other electrical or mechanical things, but the hull? Really? This just seems shocking to me, and really, a pretty big deal. Or is it? Am I missing something here? I've got the same reaction. M.V. Samish in yesterday's windstorm. Taken from the Mukilteo lighthouse. With my brand-new Nikon D5500. It was quite an eventful trip for my wife and I yesterday. We went to Anacortes for my mother-in-law's 70th birthday. She was having a birthday breakfast there with family (she'd attented a wedding for my wife's cousin the day before), and we were invited to her breakfast. 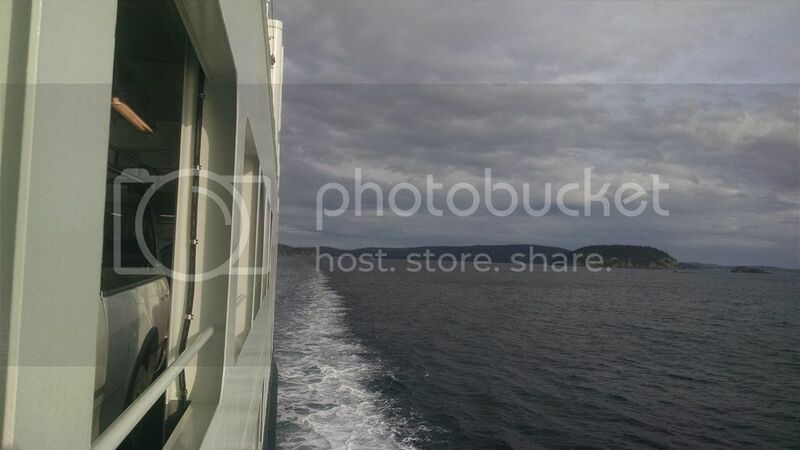 We left Shelton at 4AM and were in Anacortes by 9:30. 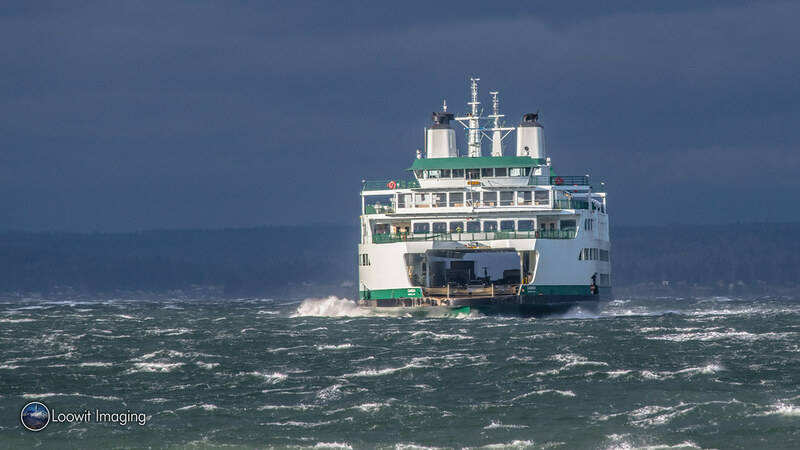 We didn't get home until 9:45 last night due to the storm - mostly due to the closure of the Port Townsend/Coupville ferry run. We were in line for the 2:45PM crossing (having arrived at 2:15) and were told of the chance we might miss the 2:45PM crossing due to the boat being full. When it left the dock (we were not allowed on due to - yep - it being full) we were told by a dock worker that, as it was leaving the dock, we were stranded and that the run was shut down effective immediately. Completely understandable as winds were 60MPH sustained at the time the M.V. Salish left. Following the issuance of a refund, we then had to drive down to the Clinton dock, caught the 4:30 boat out, and then drove home through Everett and Seattle. We didn't get back home until 9:45PM last night. Heh. I forget that the stack lights are even there. 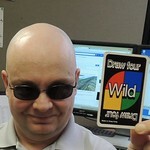 I thought they were going to do away with them after the Jumbo Mark IIs... I was surprised when they turned up on the Olympics. Barnacle, Yeah they also most never use them on the Tokitae. It is an Extreamly quiet vessel, i love the design, the sound of the wake, and the whistle sounds it makes when she is moving.